In response to the government shut down, Alcatraz Island is closed. However, Alcatraz Excursions is encouraging visitors to enjoy “The Rock” and its many sights, sounds and stories through their Guardians of the Gate San Francisco Bay cruise. Additionally, former Alcatraz correctional officer and prison launch Captain Pat Mahoney** will be aboard six cruises this week in order to interact with passengers and share stories about his time on “The Rock.” On Thursday, October 10 and Friday, October 11, Mahoney will be on board the 10:00am, Noon and 2:00pm cruises. In addition to this comprehensive and historical visual and audio tour, Alcatraz Excursions is offering passengers a complimentary souvenir boarding photo as a special memento. Alcatraz Excursions Guardians of the Gate bay cruise features daily departures from Pier 33, Alcatraz Landing as follows: 10:00am; 11:00am; Noon; 1:00pm; 2:00pm; and 3:00pm. Prices are $30 per adult/junior (12-61); $28.25 for seniors (62+); and $18.25 for children (5-11). For information and bookings, please visit www.alcatrazexcursions.com or call (415) 438-8365. *Sails under the Golden Gate Bridge, weather permitting. This tour does not dock at Alcatraz Island. 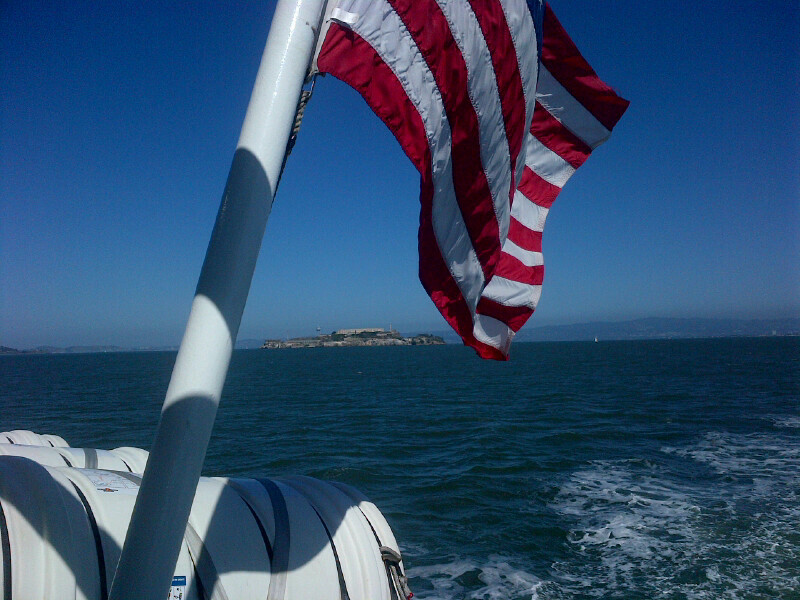 Alcatraz Excursions bay cruise is offered only when Alcatraz Island is closed.